Making Friends is ranked 6th best out of 8 albums by No Use For A Name on BestEverAlbums.com. The best album by No Use For A Name is Hard Rock Bottom which is ranked number 12559 in the list of all-time albums with a total rank score of 105. 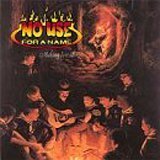 Related links: top tracks by No Use For A Nametop tracks of the 1990s, top tracks of 1997.